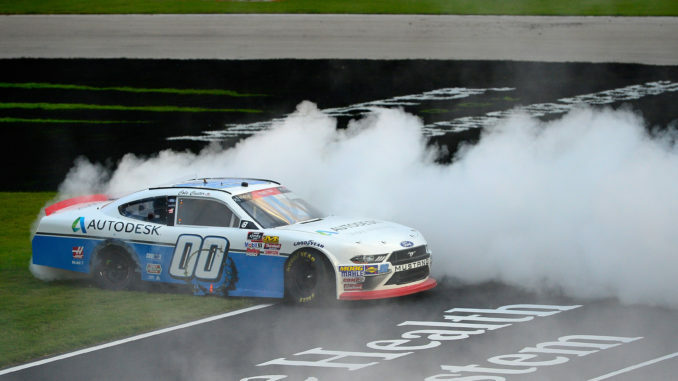 FORT WORTH, Texas (Nov. 3, 2018) — Cole Custer pulled off a dramatic, last-lap pass under Tyler Reddick to win Saturday’s 14th annual O’Reilly Auto Parts 300 by .162 of a second in the third-closest NASCAR Xfinity Series race in Texas Motor Speedway history. Custer became the first Round of 8 Playoff contender to punch his ticket into the Championship 4 at Homestead-Miami Speedway in two weeks. 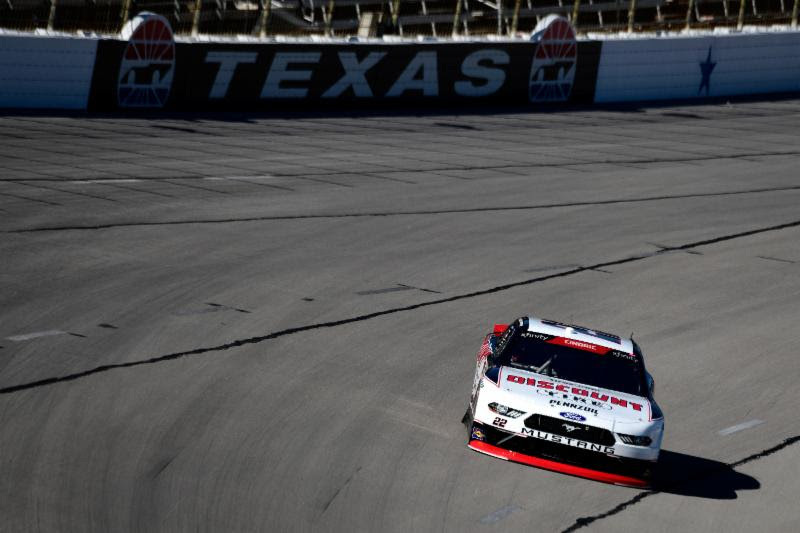 Custer took the lead on Lap 199 of 200 around the 1.5-mile TMS oval, moving under Reddick while barreling into Turn 1. The two title contenders bounced off each other briefly down the backstretch but each kept their cars straight before entering Turns 3 and 4. “I knew I had to make it happen in Turns 1 and 2 because it was harder to pass in Turns 3 and 4,” said Custer, driver of the No. 00 Autodesk Ford Mustang fielded by Stewart-Haas Racing. “I drove it maybe five car-lengths deeper than I did all day. We side-drafted down the backstretch and got together but it worked out. 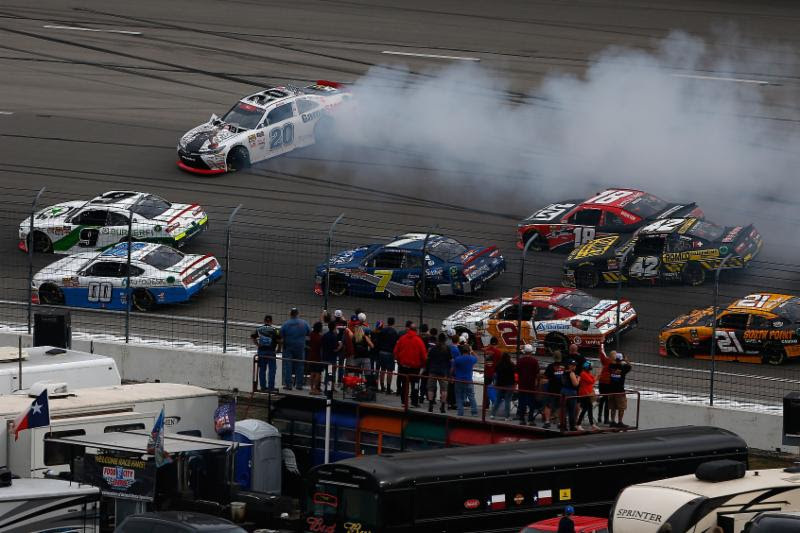 The final shootout was set up following a restart on Lap 198 after the race’s record 13th caution for a seven-car melee in Turn 4. The former series record for cautions of 10 was set on March 29, 2003. Starting on the inside lane, Reddick jumped out to an early lead, followed by Custer and fellow-Playoff contender Austin Cindric. Moments after completing Lap 199, Custer pointed the front end of his Ford under Reddick’s No. 9 BurgerFi Chevrolet Camaro SS through the track’s reconfigured/wider Turn 1-2 section and cleanly took the lead. “It’s very treacherous,” Reddick, a series rookie, said of the Turn 2 exit. “You got to get all you can off that corner … but at the same time it can put you in a bad spot and tear up some stuff.” Reddick’s 18th top-10 result of 2018 moved him into the point lead by seven over previous leader/JR Motorsports teammate Elliott Sadler, who finished eighth in the No. 1 OneMain Financial Camaro. Christopher Bell’s 32nd-place finish on Saturday puts him in a must-win situation next week in Phoenix. The record 13 caution periods consumed 54 laps, starting with a nine-car mishap on Lap 2 triggered by the spinning car of pole-sitter/Playoff contender Christopher Bell. Ironically, Bell crashed out of the previous Playoff race at the 1.5-mile Kansas Speedway two weeks ago. At TMS, he rallied from his opening spin but ultimately was forced to retire after contact with Cindric put Bell into the Turn 4 wall on Lap 134. Bell’s No. 20 GameStop NBA 2K19 Toyota Camry suffered extensive suspension damage en route to a 32nd-place finish. Reddick led a race-high four times for 54 laps, while Custer also led four times but for only 16 laps. Hemric, who led three times for 42 laps in the No. 21 South Point Hotel & Casino Camaro, is third in the point standings following his 10th-place finish. 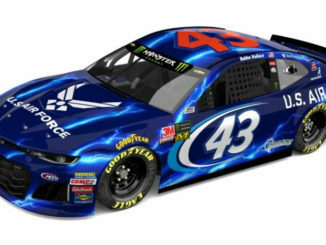 Hemric, of Richard Childress Racing, is eight points behind Reddick but only one behind Sadler. Playoff contender Allgaier led twice for 37 laps before finishing fifth in the No. 7 Suave MEN Chevrolet fielded by JR Motorsports. Allgaier occupies the fourth and final cutoff spot for Homestead, 20 points behind Reddick and 12 behind Hemric. Allgaier is only two points ahead of fifth-place Matt Tifft, who finished seventh Saturday in his No. 2 Andersons’s Maple Syrup Chevy, also fielded by RCR. Custer is sixth in points but doesn’t have to count now that he is set for HMS. 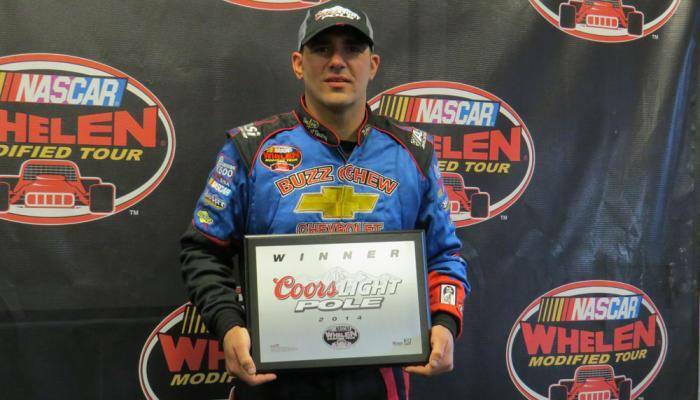 Bell, meanwhile, faces a must-win situation at ISM Raceway next week. He is 42 points behind the leader and 18 behind Custer. Despite a third-place finish on Saturday, Austin Cindric also faces a must-win situation next week. Cindric, the final Playoff contender, is eighth in points after his third-place finish in the No. 22 Discount Tire Ford fielded by Team Penske. Cindric also faces a must-win scenario next week as he is 69 points behind Reddick and 27 behind Bell. “After everything that happened today this is great,” Cindric said after his second top-10 finish in two races at TMS. “I would have just been happy to finish the thing not in the fence. Every opportunity to be in the middle of something it seemed we were there. It is just perseverance by everyone. The guys over the wall did an amazing job getting the right front fender fixed (after opening-lap contact). We almost had a tire go down because of it. “I’m really thankful to still be in the Playoffs and still have a shot to win a race. We were a few bumps and bangs away from really benefiting from that one. I was yelling all the way down the backstretch for something to happen (on the final lap). I’m thankful to everyone at Team Penske for really pushing hard this weekend. Obviously it’s no doubt that these guys are the best in the business. To be able to unload a backup car and have a top-three finish is unheard of.